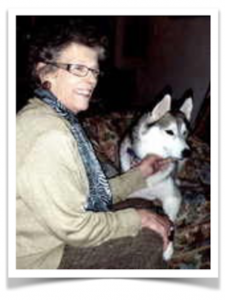 The Burlington Historical Society mourns the loss of another faithful supporter and long time member – Noreen McNairn. Noreen passed away on July 7, 2016. Noreen filled many roles during her time on our Executive as BHS president from 2005-2006 and Executive Committee Recording Secretary from 2007-2014. As if this wasn’t enough, she also represented BHS on countless Outreach community activities such as Heritage Fairs, Book Fairs, Canada Day at Joseph Brant Museum in July; Heritage Week in February; Joseph Brant Day in August. You will probably remember Noreen at our General Meetings selling 50/50 draw tickets and manning our coffee and cookies station. Even throughout her illness, she attended our General Meetings and took great pleasure in seeing her friends at that time and had a keen interest in hearing the various speaker topics. Noreen always wore a smile and had something positive to say to everyone. Noreen will be greatly missed and her many contributions to our Society. We cherish her memory and consider ourselves very fortunate to have had the priviledge of having her on our team.